Features Comfort and Convenience Package featuring heated leather front seats, NissanConnect w/Navigation, Voice recognition for navigation and audio, Rearview Monitor, Remote start w/Intelligent Climate Control, 8-way power drivers seat, Drivers seat lumbar support, Drivers seat thigh support extension, Cruise Control, 8 speaker Sirius/SM Satellite Radio, Bluetooth hands-free, Remote Start, dual zone automatic temperature control, Push button ignition, 2 USB ports, splash guards, floor mats & trunk set, heated outside mirrors w/turn signal indicator, front and rear parking sensors, LED signature daytime running lights, Front fog lamps, tire pressure monitor, traction control, 4-wheel anti-lock braking system, 18'' machined aluminum alloy wheels, driver & passenger side-impact & curtain airbags, 8'' Color Display w/multi-touch control and a sport & normal drive mode selector. Powered by a 3.5-Liter DOHC 24-valve engine that produces 300 horsepower and 261 lb-ft of torque. 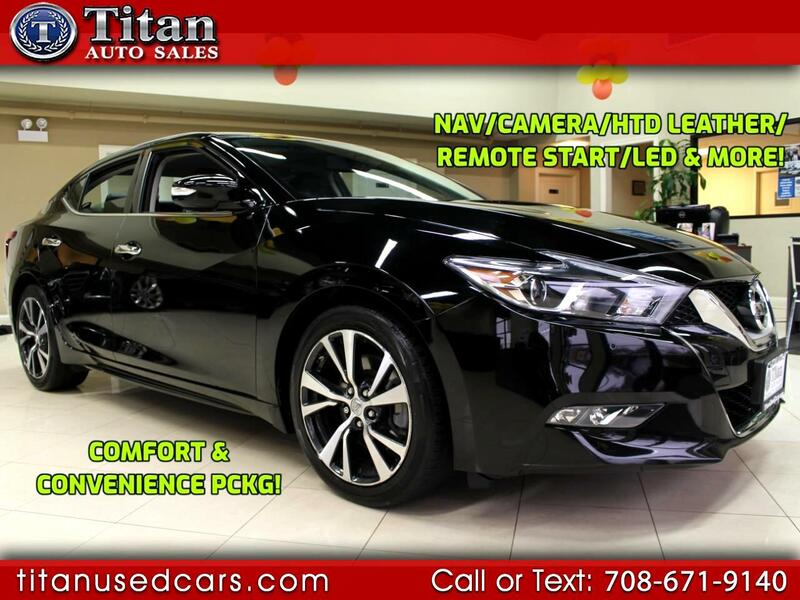 This Maxima has been certified by our 160 point inspection. Buy with confidence from our AAA++ rated business. Come in and see why our Quality, Prices and Reputation can't be beat. Check out our hundreds of positive reviews.